Growth hacking has been creating a buzz around the startup world for a long time now. Millions of definitions and an ocean of guides to growth hacking are available on the internet to put someone in a dilemma of choosing the best out of all. Growth hacking is a word that is used mostly by marketers these days. 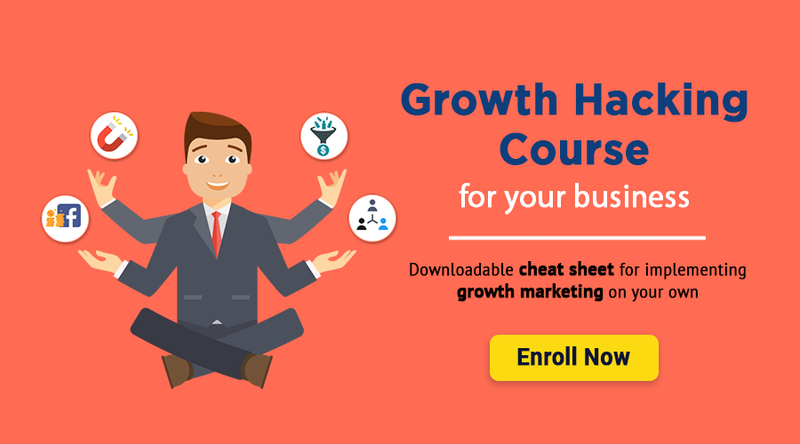 Most companies and marketers think growth hacking is limited to search engine optimization, social media marketing strategy, email marketing, etc but they fail to understand how to best use these channels in a cost-effective way to boost growth. Discovering a marketing strategy that takes your startup to the next level by brainstorming and experimenting with a number of hypotheses. Constantly optimising your efforts, cost per acquisition and user retention with the discovered hacks. Acquisition: It is the initial stage where you make your target audience aware of your product or service. It is a first contact point between your product/service and a user/customer. These users are those who have just visited your website and are now aware of your existence. Activation: Once a user has landed on your website, they take an action defined by you after perceiving your product/service’s value for them. It could be in the form of signing up for your free/trial services or subscribing to your blog. It’s a crucial stage as they start trusting you and share their emails with you. Retention: Once you have an active user, it is important to retain them so that you can turn them into your lifelong customers. Nurture them by sending emails at regular intervals or offering some premium features as a trial. Keeping your customer happy is the key to form long-lasting relationships with them. Referral: If the user likes your product/service, you can smartly use them as a marketing channel to reach out to their peers and broaden your target audience through them. You can ask them to refer your product/service to their friends in exchange for something that they would like to use. In this way, you can increase your customer base. Revenue: This is the final step of the growth hacking funnel where you monetize the users. 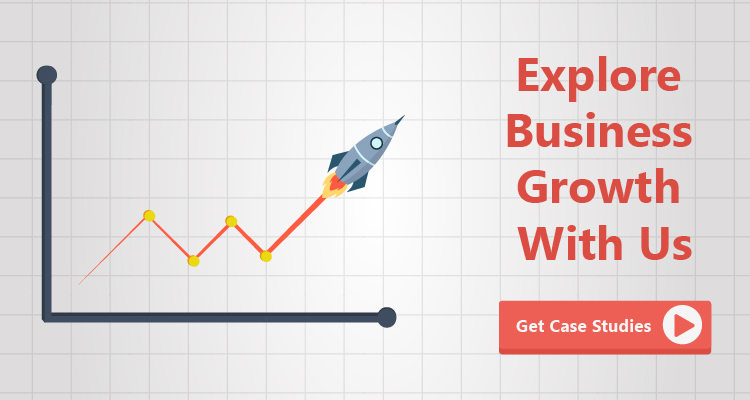 Build a constant stream of revenue to make your startup sustain. For example, you can now invest in advertising to retain the existing users, get new users and to bring back those who abandoned your product/service. Where has Growth Hacking shown its magic? Dropbox used a referral program to increase its customer base. They smartly used their existing customers as a marketing channel and asked their users to refer Dropbox to their friends to get free cloud storage. Airbnb helps a user to find accommodations for bed and breakfast. When they were in their initial stage, they got themselves listed with Craigslist, a third-party platform where you can buy and sell anything, find accommodations, jobs, etc. CraigsList already had a pretty good user base which helped Airbnb spread awareness about its existence. Referral programs with giveaways help you increase your user base. You can use an already established website to make people aware of your existence. How to hack the growth of your startup? #1 Precisely define your target audience. It is important for you to understand who your target audience is. Without defining your market, you can not sell your product/service. For example, you have an e-commerce company dealing in women’s shoes. So, it’s crystal clear your target audience is urban women who are tech-savvy. You won’t target men or women who are not in the millennial audience for selling shoes. The best way to find out your target audience is to conduct online surveys. You can use tools like SurveyMonkey.com and record responses of people from different demographics. Another great way is to socialize with people outside of social media. Attend events where you can get to meet people who might be interested in your product/service. Conduct an interactive session with students at any university and give them freebies like badges or fridge magnets to promote your company. Share your ideas and make them aware of your company’s existence. Ask them thought-provoking questions so that they remember you for a long time. Once you have understood your target audience, find out where they hang out. If they are youngsters, they might be active on Instagram or Snapchat. Once you get to know where your target audience hangs out, define a process for all marketing channels that can fetch your business. Consider the previous example of an e-commerce site dealing in women’s shoes. As your target audience is women and shoes is a product which can be presented in front of them as an image, you can utilize Instagram and Facebook to market your product. Make a process for each of them. For example, you want to share pictures on Instagram. You’ll assign a task of sharing images 2 times a day, 7 days a week and you’ll spend 5 minutes for sharing the images. This way you can create a process for facebook too. To save time, you can even use a social media management tool like Hootsuite. Optimizing your marketing strategy is the key to sustainability. It’s a dynamic market outside and if you keep your marketing strategy constant, you’ll become obsolete. So, to survive this dynamically changing market, you need to optimize your strategies to match up with changing trends. -Keep an eye on which social media platform is driving in more business. -Monitor how your ads are performing. Keep changing the images and copy or split test your campaigns to see which ad triggers more action. For email campaigns, MailChimp is a great tool with lots of templates available to save your time on designing emails. It also gives an in-depth report of your email campaigns. When it comes to analytics, Google Analytics, CrazyEgg and KISSmetrics allow you to track and monitor your website performance. To track the growth of your social media presence, you can use Twitter Analytics, Facebook Insights, Adespresso and tools like Iconosquare for Instagram. Growth hackers rely extensively on tools to perform their marketing experiments. 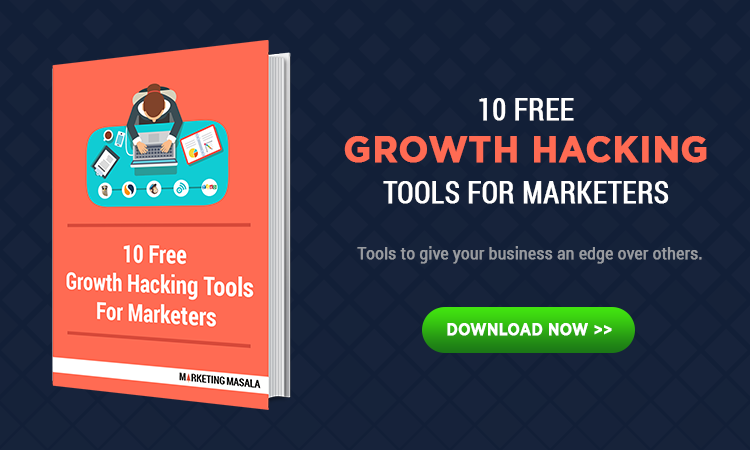 For an insight into the best growth hacking tools, check out our latest E-book!